Did you know that more than 60% of search traffic is directed to the top three spots on the Google results page? If you’re not even on the first page of Google, you’re basically invisible to your audience. Are you wondering about how to reach a higher search engine ranking? It’s easy to become overwhelmed by the number of recommended SEO strategies. How do you know what works and what doesn’t? We’ve put together some of the most important tips for climbing to the top of the Google results page here. Let’s get started! Your audience doesn’t stick around if your website is slow. The average user expects your website to load in under 2 or 3 seconds. You don’t want to disappoint your users before they even arrive on your web page. Your audience will quickly go elsewhere if they get frustrated at your slow loading speed. Don’t believe us? Research shows that for each second of delay in your loading speed you risk up to 7% damage to your conversion rate. That’s why Google has started to penalize websites for poor loading speeds. The search engine considers website speed as one of the most important factors which determine your ranking. So, you need to remove anything on your website, which could be slowing down your website. It may seem counter-intuitive to increase your ranking on Google by directing your audience to other players in your industry or niche. And yet, if you link out to websites with authority and high trust ratings, you’ll maximize your chances of the favour being returned. Backlinks are the aim of the game here. It’s especially important to concentrate on link-building for quality rather than quantity. In other words, it’s better to receive one or two links from HuffPost and Buzzfeed than dozens from websites nobody has ever heard about. You should also include internal links within your content. This allows you to direct web traffic via your blog to your online store to increase your conversion rate. You need to provide content which people actually want to read. Too many bloggers are writing for Google, not people. The more human-oriented your content, the higher up the ranking you’ll climb. Write content which is relevant and interesting to your audience. You can become an influencer in your niche, which could further improve your ranking on Google. Make sure you regularly update your content to keep your audience engaged and excited. After you’ve already written your blog content, you can repurpose the content in another form. Your audience wants to be able to engage with a variety of different types of content. So transform an old blog into a Youtube video or a podcast to reach a broader audience for your content. This also provides you with even more content to drive traffic. Do you know how to create video content? We can help you! Do you know how you’re website is performing? You need to take advantage of the information provided you by web analytics tools. For example, when is the optimal time of the day to post your blog content? 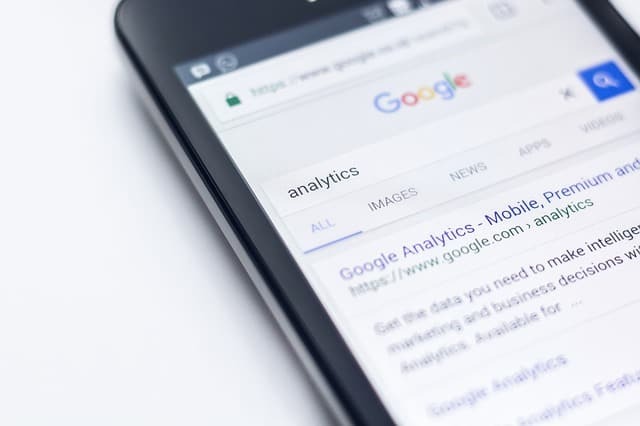 You can download Google Analytics for free or download one of the several top analytics tools for a fee. Then, you can determine what’s working and what’s not with the data. The results page on Google features the title of the web link and a meta description. You need to optimize your meta description because it functions as a first impression for your audience. Keep it relevant and simple. Watch out for duplicate content on your meta descriptions. Even though some links may require repeated sections, this could damage your ranking score on Google. You need to ensure your URLs are simple and relevant. If Google can’t make sense of your URLs, then neither can users. You should definitely avoid complicated and long URLs. Keywords are the bread and butter of SEO! However, if you’re not careful you can do more damage than good with your keyword usage. You should definitely avoid keyword stuffing, which is packing your content with keywords and phrases. Everything on your website which is searchable needs to include keywords in the description. You should also include long-tail keywords, which reflect how users search on Google. The increased use of voice searches makes full sentences particularly important to optimize your content. More than 60% of the total searches on Google are from mobile devices. If your website is not mobile friendly, you could risk missing out on a significant portion of your audience. Moreover, Google also penalizes websites which don’t provide users with a mobile-friendly experience. Actions to ensure your website is mobile friendly include content which does not require software (such as Flash), which is not available on mobile devices. The higher you rank up Google, the lower your competitors rank. Therefore, you’re in direct competition for the top spot on results pages. Therefore, you need to take any opportunity to learn from other players in the industry. You can follow your competitors on social media networks to determine how they operate. Implement our tips for higher search engine ranking to drive traffic to your website. This way you’ll be leaving your competitors behind as you rise to the top. Do you want more advice on how to improve your website design or SEO strategy? Contact us for help!